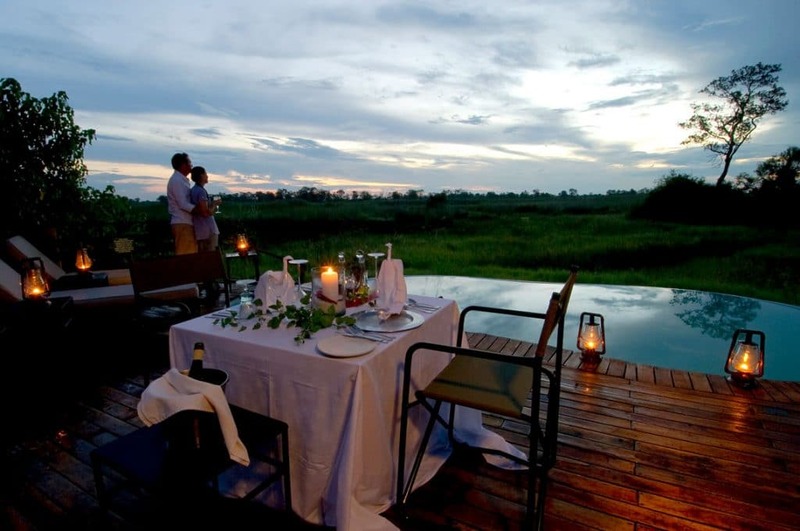 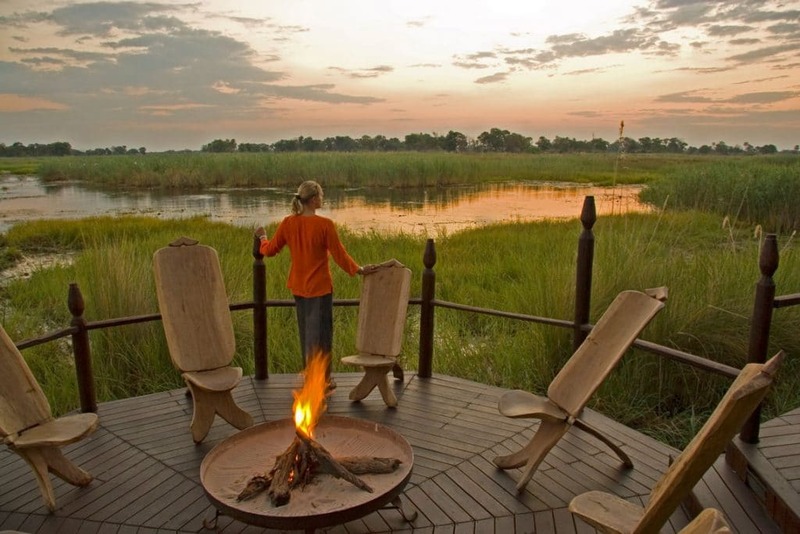 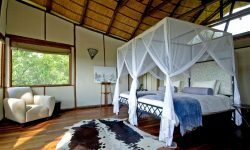 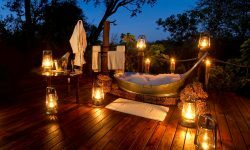 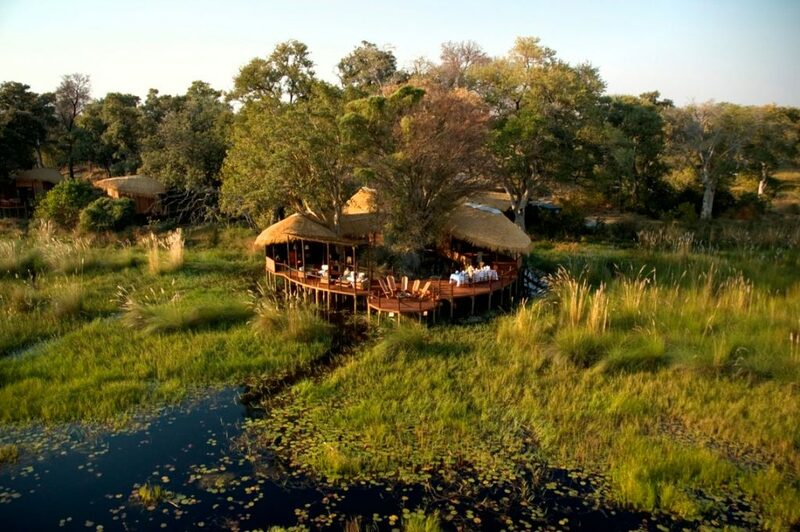 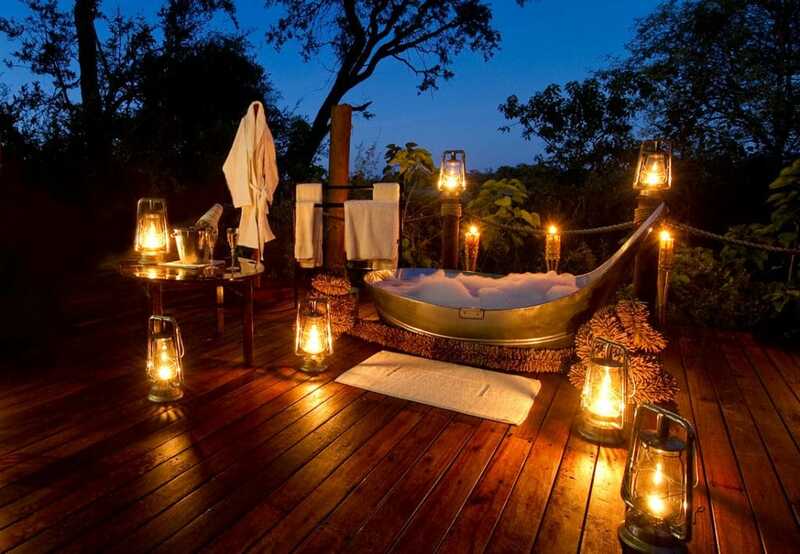 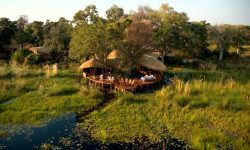 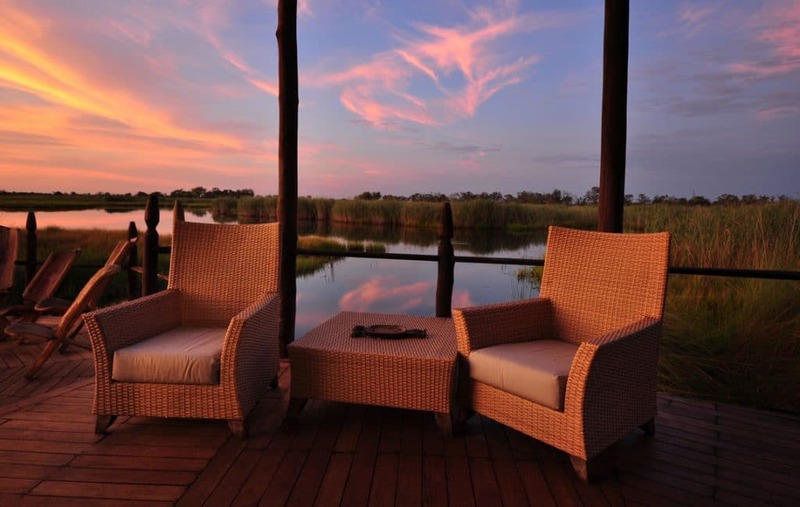 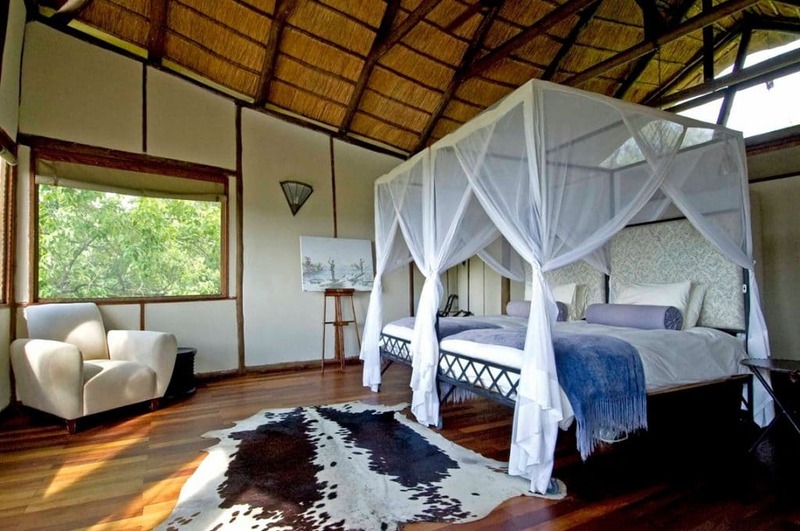 Sanctuary Baines Camp, small and intimate, is set amongst the shady trees and waterways of the Okavango Delta. 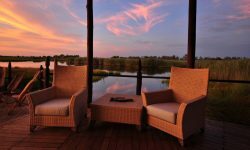 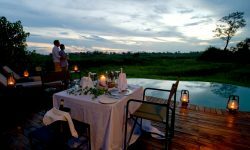 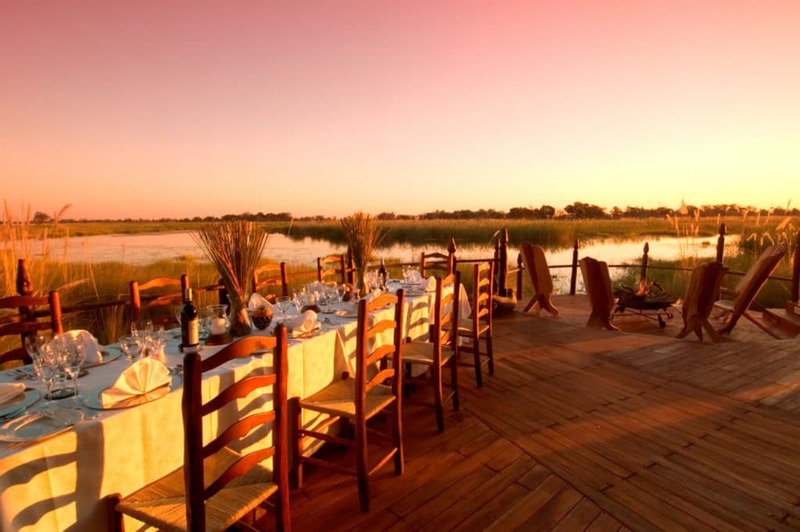 The camp also has a oversized deck for outdoor dining and views over the lagoon, as well as a swimming pool for a refreshing dip on a hot afternoon. 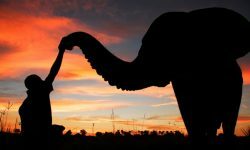 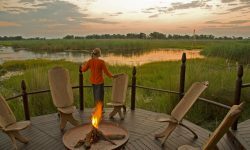 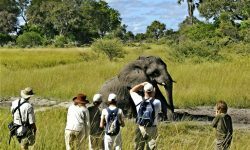 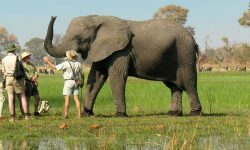 Baines Camp is situated on a private concession neighbouring the Moremi offering a chance for great game viewing of animal and bird species. The camp is set in a grove of trees, and surrounded by papyrus beds, this low environmental impact camp has been built using commercially grown wood and recycled tin cans. 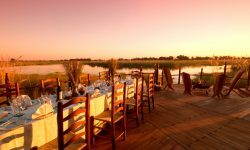 These were all collected from the villages in Maun and each can was paid for and incorporated in the building structure. 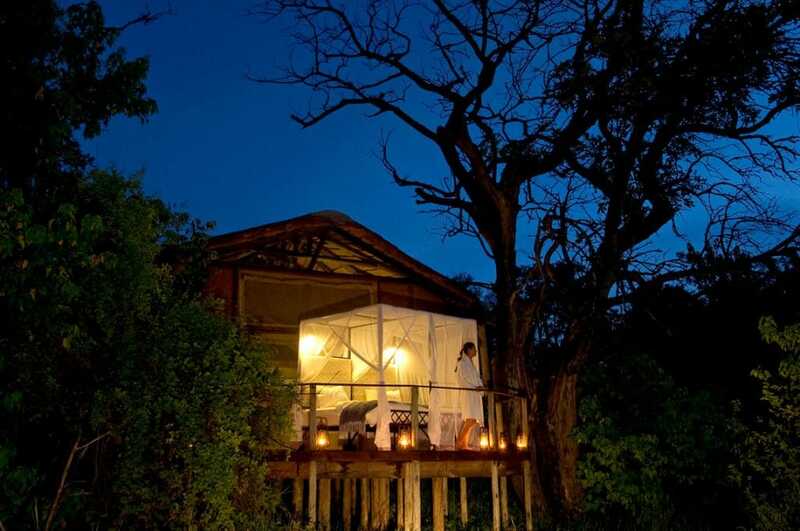 The camp offers Land and water based activities along with night drives. 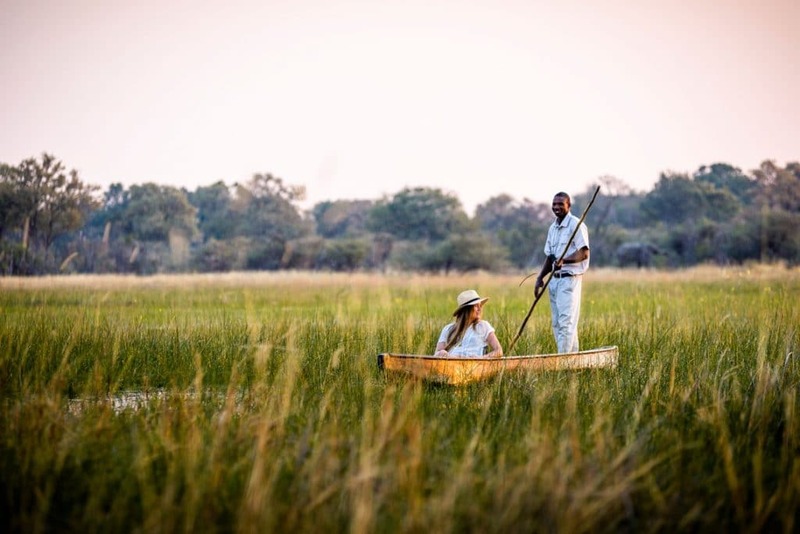 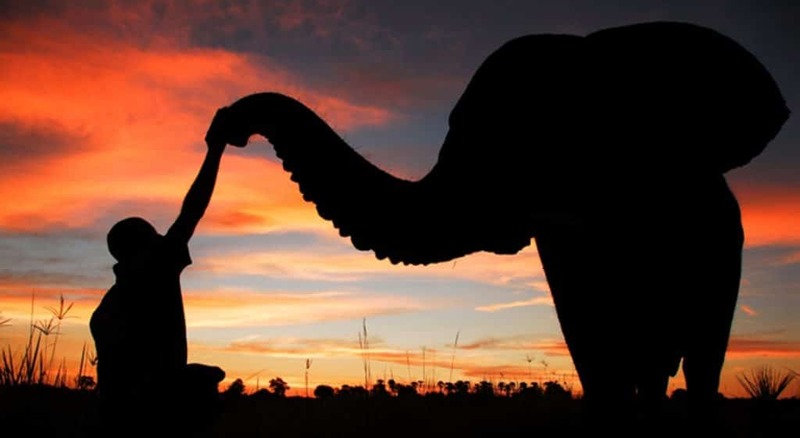 The permanent water of the camp enables year-round motor boat safaris, and poled mokoro. 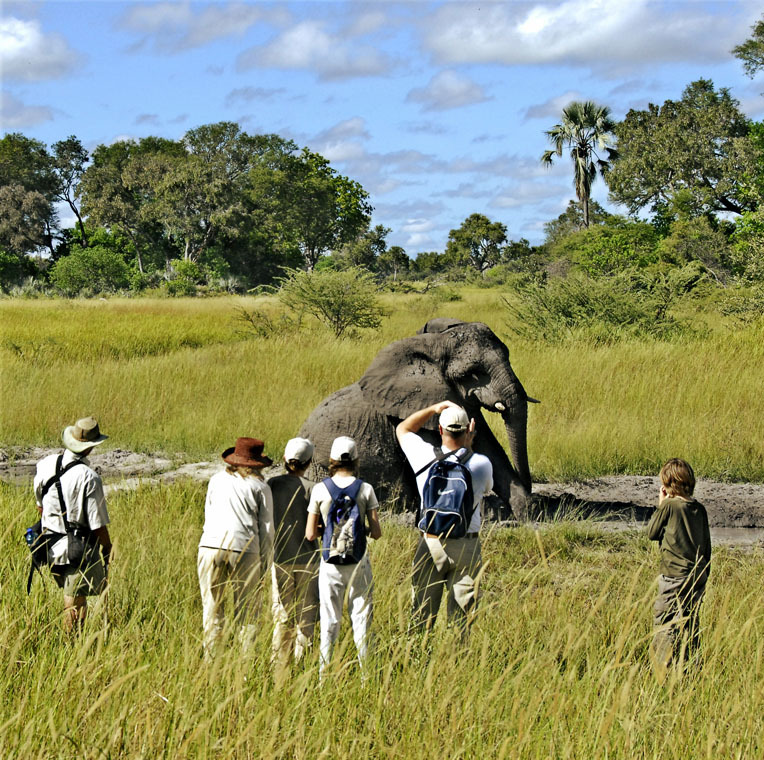 Although the camp welcomes children over 12 years, there are limited child friendly facilities available at the camp.